Around 25,000 learner drivers are on the roads with no valid car insurance! - Flexed Around 25,000 learner drivers are on the roads with no valid car insurance! Around 25,000 learner drivers are on the roads with no valid car insurance! The Motor Insurers’ Bureau (MIB) have discovered via data from its police helpline that an estimated 25,000 unqualified drivers in the UK are using the roads without valid car insurance, either driving their own car or using a family member’s with the correct cover. According to the MIB, over the past 12 months they’ve received thousands of inquiries by police officers attending an incident at the roadside in which a provisional licence holder was thought to be driving with no insurance. 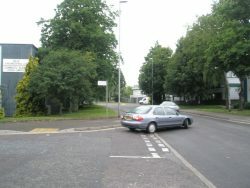 In a lot of cases, when a learner driver was caught with no insurance the car was seized by the police immediately, with one out of every two uninsured learners being hit with more penalties because they’d also been driving without the correct supervision that’s legally required when a person is learning to drive on UK roads. Around 25,000 learner drivers are on the roads with no valid car insurance! © Copyright Basher Eyre and licensed for reuse under this Creative Commons Licence. Those learners who did have a policy were found to be driving outside of the terms and conditions set out in their policy making it invalid. Some of those caught were daily commuters, whilst others were using a car for business reasons. Other learners were also found to be driving around without displaying an ‘L’ plate on their car which is required by law. The MIB is a not-for-profit company that was founded in 1946. Their role is to enter into agreements with the UK Government as to how compensation claims from people who’ve been involved in accidents which were caused by uninsured or untraced drivers are to be compensated. These costs are paid for through insurance premiums taken out by all law-abiding motorists in the UK. What this means is that uninsured drivers basically push up the cost of insurance policies for every motorist on the road. Being caught without insurance can lead to the police seizing the car, a £300 fine, six penalty points and possibly further penalties. The MIB said that learner drivers must be supervised by someone aged 21 or over for at least three years and this person must hold a full valid driving licence. For more information regarding our business/personal car leasing services and fantastic offers please click here, or call us TODAY on 0800 311 8290.